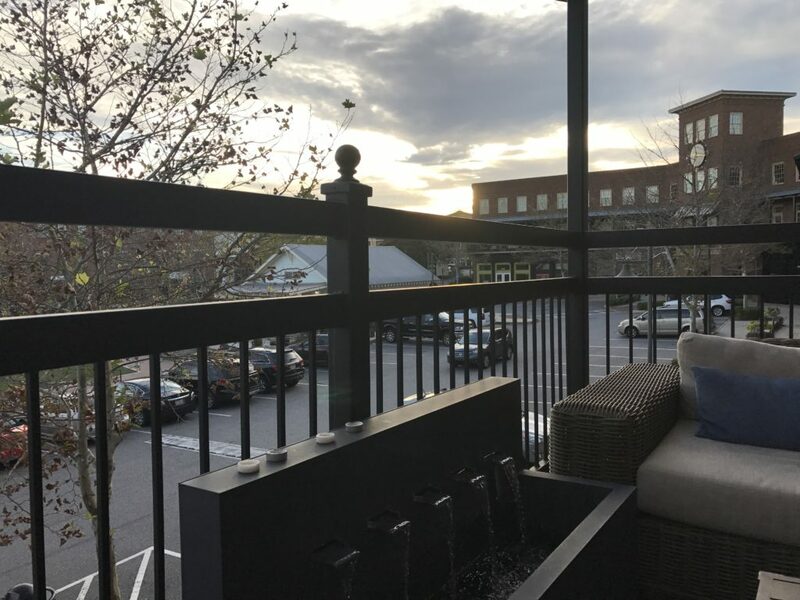 I believe I have found your treasured hiding place for a perfect night out in Forsyth County. 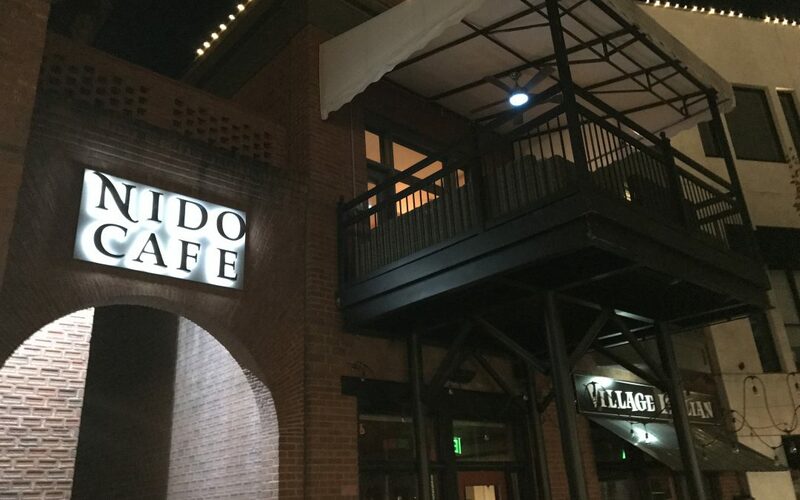 You may have heard of Nido Cafe in Vickery Village as a coffee and breakfast location. But, did you know they also serve dinner and lunch? Since they opened, I’ve been a big fan of Nido’s Almond Milk Latte and Protein Plate Breakfast. I’ve also enjoyed the Avocado Sesame Crab Salad for lunch many times. To be honest when it came to dinner, I just didn’t think of Nido. That is until two weeks ago! My husband and I enjoyed a date night on Saturday in this modern day farmhouse. Today, I’m urging you to take a chance on finding your treasured night out location right here in our community at Vickery Village. 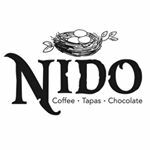 Nido means “to nest or find a hiding place or den.” Join me and allow Nido Cafe to be your nesting place with friends and loved ones! Isn’t that a pretty view!? When we went the weather was in full fall mode It was in the 60’s with a nice breeze. Which was the perfect evening to experience the perch. This perch overlooks the middle of Vickery Village. It has two comfy couches, piped in relaxing music, and a water feature to help make it a private place to enjoy. Because it was the two of us, I quickly moved next to my husband. We enjoyed eating, laughing and talking in this peaceful private environment. What I love about tapas is the opportunity to try a bunch of things on the menu. You don’t have to commit to one item for your dinner. And with so many decadent tapa choices we had a hard time choosing just a few. Crab Cakes: Two jumbo lump crab cakes on basil cream sauce. 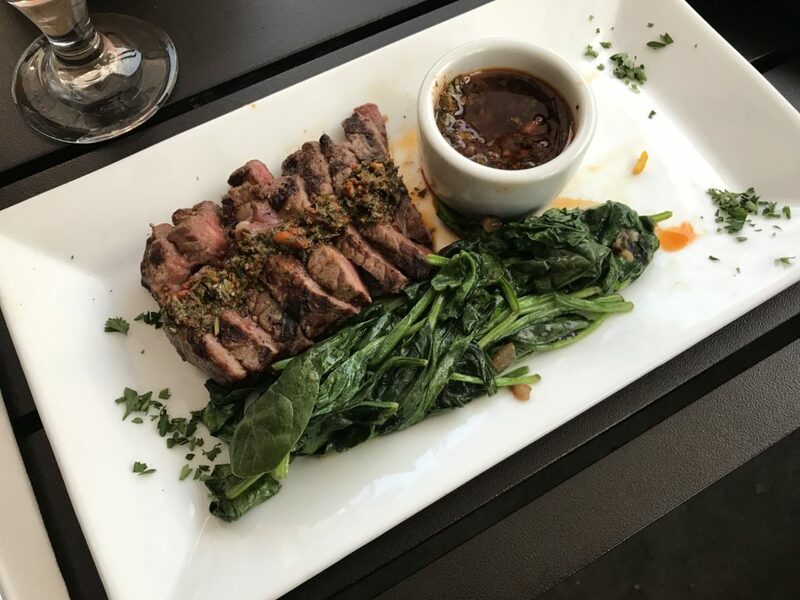 Steak Chimichurri: Tender sliced steak w spicy chimichurri and spinach. 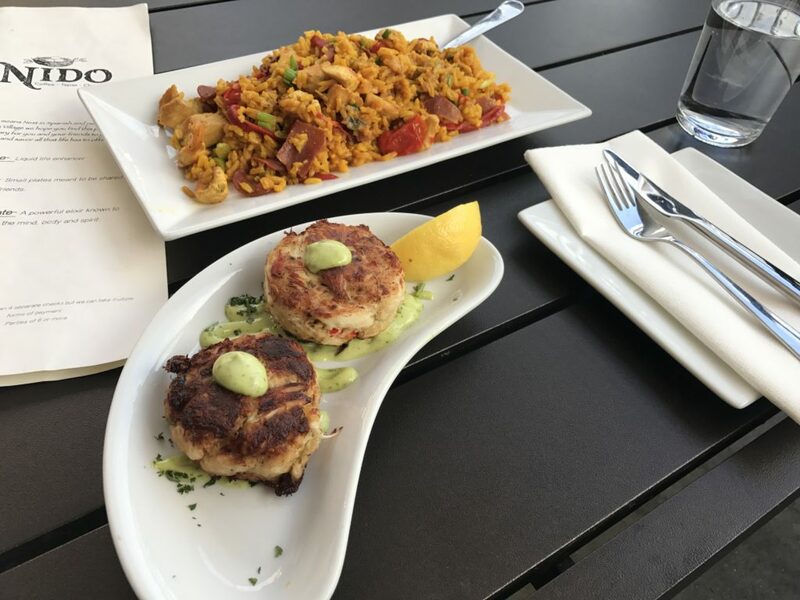 Check out the Tapas menu by clicking here. The dessert at Nido Cafe is absolutely Heavenly. 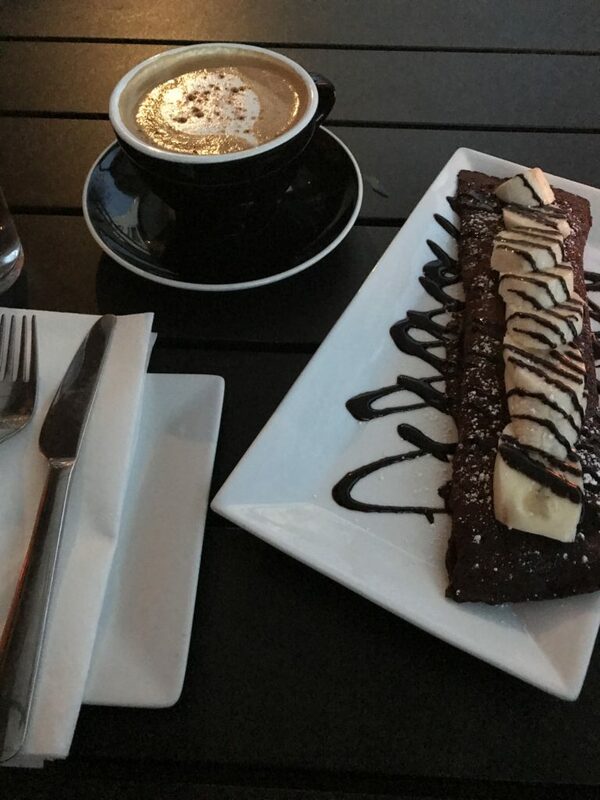 For our desserts, we shared a Chocolate Crepe topped with Bananas and the Nutella & Peanut Butter Fondue. 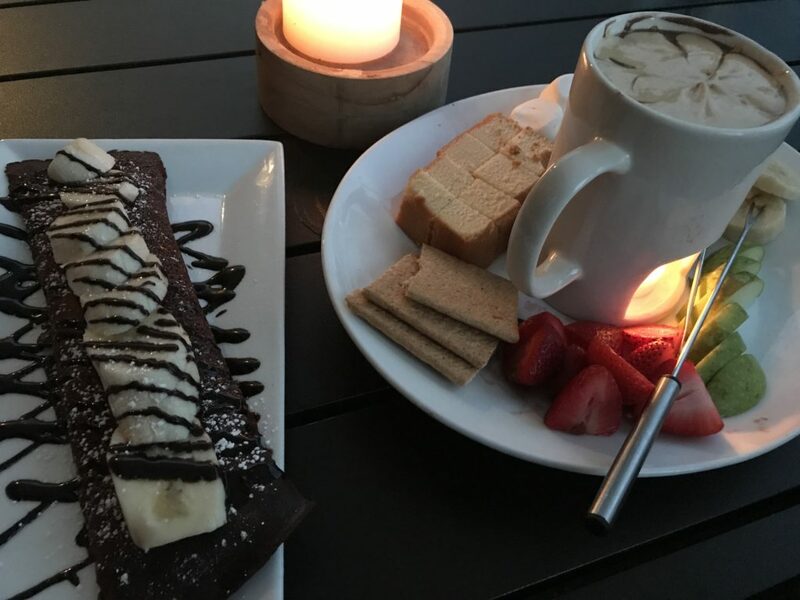 As you can see in the photo – the fondue came with graham crackers, strawberries, apples, bananas, marshmallows, and fresh pound cake. We ate every bit of this and honestly didn’t want it to end. Such a perfect way to wrap up our night. Aren’t you hungry now reading all this? I’m ready to eat there again now! Find out what else is on the dessert menu by clicking here. The coffee at Nido Cafe is served all day long. Nido’s Almond Milk Latte is my personal fave. However, tonight I wanted to try something new. I ordered the Pumpkin Spiced Latte and Greg got the Nutella Latte. We had both of these made with almond milk instead of whole milk. A few words I would use to describe these coffee drinks would be: smooth, creamy, flavorful, and exceptional! Like I said before, I have eaten break and lunch at Nido many times. Every time I’ve eaten there the service has been great. And I just like the feel you get there. You truly feel like you are in a big city restaurant but I’m only 15 minutes from my home. 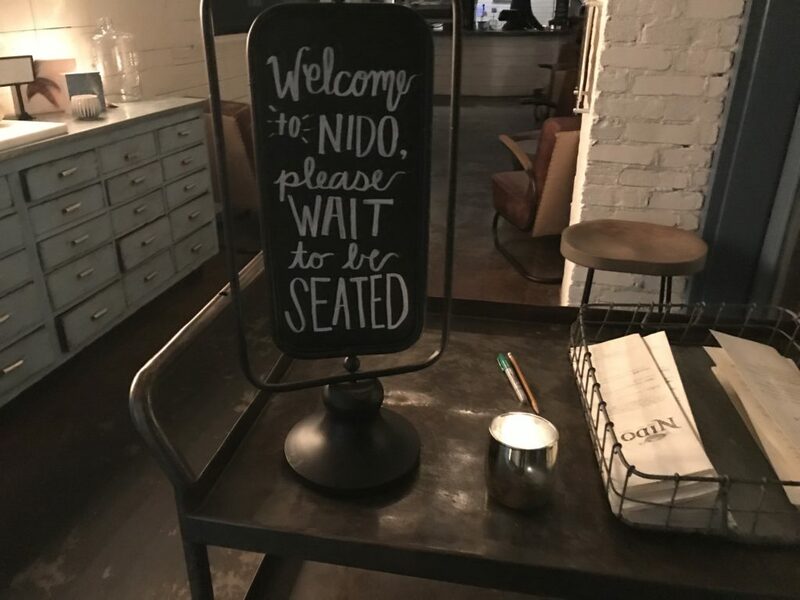 The atmosphere at Nido Cafe is different than anything we’ve experienced. And we like it. We like it a lot. And we think you will too! We all like to eat. Not just eat though, we like to escape and feel like we have left the country for a few hours. Food and wine can take you on a journey. We like that journey. It makes us happy when Atlanta traffic gets us down. So we look for a place to roll in, tell stories that likely aren’t true and laugh until its time to go home. So we built this place because we want to hang out here. Somewhere cool. At Nido you can experience something different and cool. So – come for breakfast and have a strawberry, basil and brie sandwich. Or maybe come for lunch and have lobster stuffed mushroom caps and a Spanish white wine. You could also come for dinner and have lamb lollypops with a red wine from Rioja that makes your toes curl. Or maybe just maybe you want hot ooey gooey chocolate chip cookies with a shot of ice cold milk. The point is you just need to get here for one reason or another. Once you get here you will understand what its all about. We can wait to serve you! Rachael Walkup has lived in North Georgia all her life. Since 2006 – The Walkup family has made Forsyth County their home. Along with being a wife and mom, Rachael is an avid blogger, social media expert, and owner of CummingLocal.com. 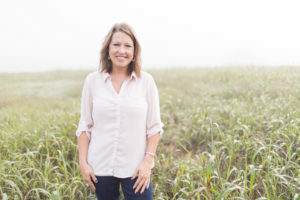 Her time is spent promoting local events and small businesses in North Georgia. With a background in Marketing and Sales, coupled with her experience in Project Development and Search Engine Optimization (SEO), Rachael offers consultations and classes to help clients reach their fullest potential. 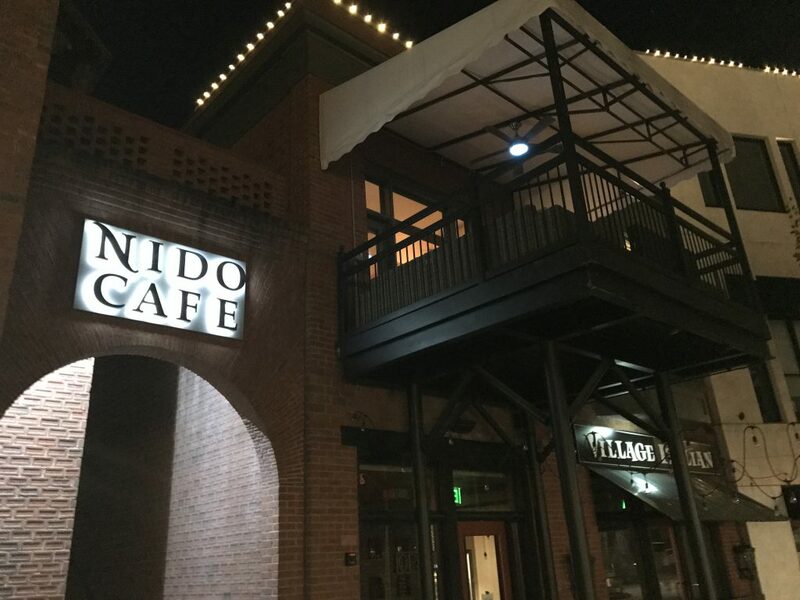 Disclosure: Nido Cafe provided us with three tapas, two desserts, and two coffees. All opinions stated in this article are 100% my own.